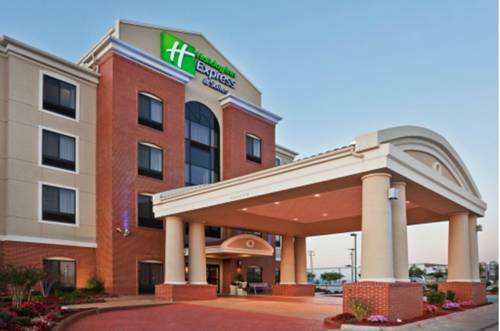 We invite you to experience the Holiday Inn Express & Suites Natchez. Located within walking distance of historic downtown Natchez, MS. This quaint Mississippi riverfront town is famous for historic Antebellum homes, civil war history, year round festivals and the Great Mississippi River Balloon Race. The Old South Winery offers a fun and relaxing day followed by riverfront dining and a variety of local pubs with live entertainment. Natchez is quickly becoming a leader in the growing world of green fuel alternatives. Major corporations involved in this venture located near the hotel include Elevance, Enersteel, and Genesis Energy other major corporate partners include the Coca Cola Company, Earnst & Young and the Compass Group. Our limited service Natchez hotel features sweeping landscapes of the Mighty Mississippi River, complimentary breakfast and a relaxing stay. Guests will enjoy our complimentary high speed Internet with both wireless and wired capabilities. The hotel's state of the art 24 hour fitness center allows for guests to maintain their daily routine. All rooms include a microwave and refrigerator and a minimum of 37 inch HDTVs. The Southern hospitality you have come to expect from a historic Mississippi town will be exceeded during your stay at the Holiday Inn Express & Suites Natchez. Amtrak station in Brookhaven, MS.
Duncan Park is home to both public golf and tennis facilities. Historic Jefferson College c. 1811 site of the first institution of higher learning in Mississippi, and listed on the National Register of Historic Places, offers tours of a restored dormitory room, kitchen buildings, gift shop and museum. Contrast a working cotton plantation of the early 1800's with a modern cotton plantation and gin of today.